The medieval setting and costumes in these beautiful works reflect the artist’s interest in the Pre-Raphaelites. It’s been said that Dicksee represents a softening of the Pre-Raphaelite Movement, and there is no doubt he owed his popularity partly to this softening. About the artist: Sir Francis (Frank) Dicksee (1853 – 1928) was an English Victorian painter and illustrator, best-known for his pictures of dramatic literary and historical scenes, as well as popular myths and legends. He also painted portraits of fashionable women, for which he later gained notable success and popularity. Dicksee’s father was a painter who taught Frank as well as his sister Margaret from a young age. Dicksee enrolled in the Royal Academy in 1870 and achieved early success. He later became the president of the Academy. 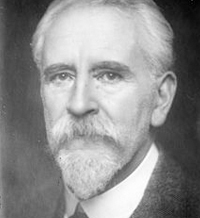 In 1925, Dicksee was knighted and named to the Royal Victorian Order by King George V. He exhibited his first works in 1921, at the Society of Graphic Art in London. Dicksee’s most famous painting, The Funeral of a Viking (1893), was donated in 1928 by Arthur Burton in memory of his mother to the Corporation of Manchester. Victorian critics gave it both positive and negative reviews, for its dramatic but somewhat staged setting. The painting was used by Swedish Viking/Black metal band Bathory for the cover of their 1990 album, Hammerheart.